WESTLAKE AND LENORA PARK - COMING SOON! Not many apartment towers can offer a park as an amenity like Stratus can. At the corner of 8th and Lenora in downtown Seattle, as a tribute to the topography of the Denny Regrade, Stratus’ front yard is being developed into a park for the entire city to enjoy in October 2018. This new green space will have ample seating and relaxation areas, and will be a place of tranquility and enjoyment away from the bustle of downtown. 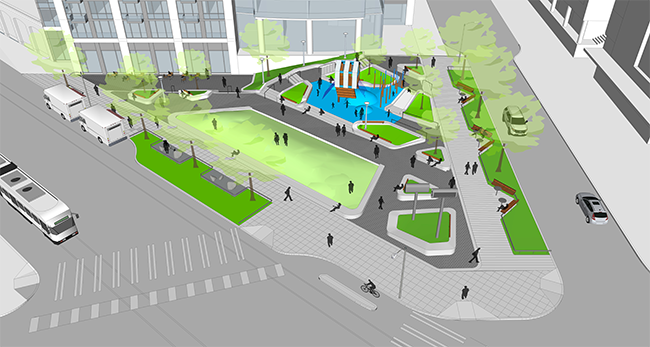 The park will be an outdoor living room for gathering, unwinding, and people watching. 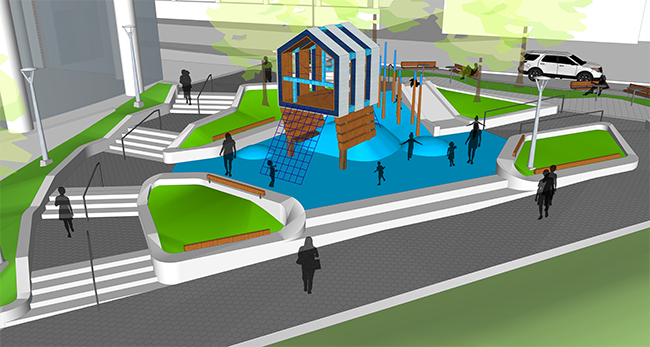 It features natural design elements, a lawn for relaxation, and forest-inspired play elements. The park will host ample summertime programming for the neighborhood to attend. Stratus is excited to be part of this highly anticipated green space! Learn more about the park’s timeline and offerings here.